Marvel kicks the New Year off in top gear; Daredevil gets reborn, the fallout from the Thanos Imperative rumbles round, and Cap 'n Thor-mania shifts up another gear (yip, there apparently is more room on the stands)! 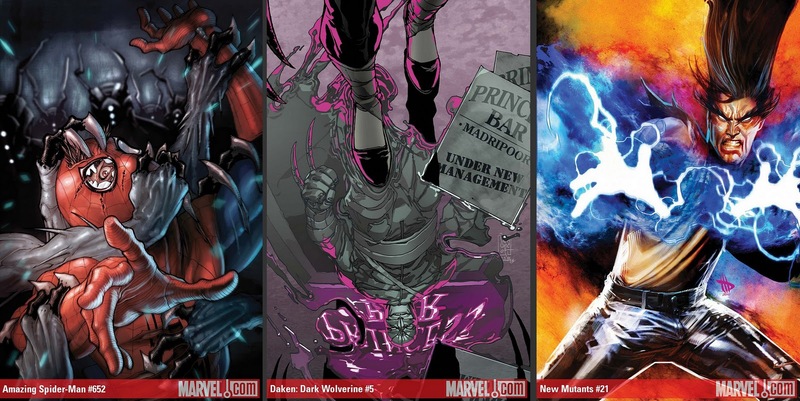 The biggest shots of lighting coverwise from the Marvel January solicitations are these hot four. 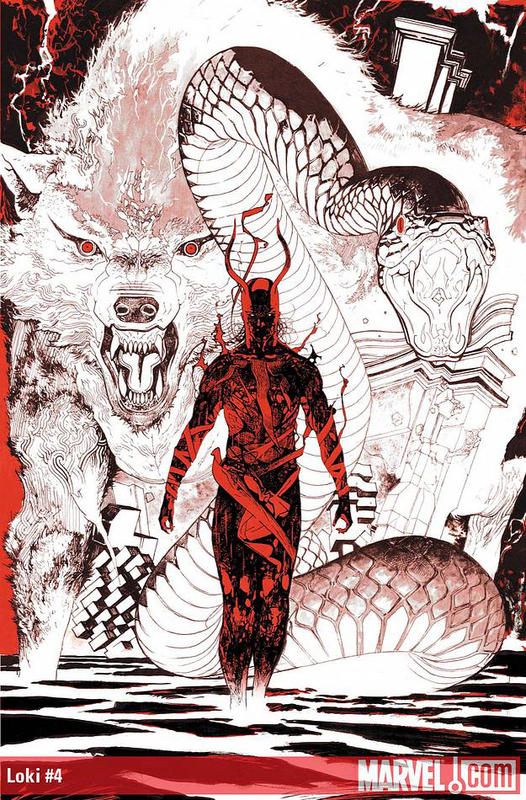 COVER OF THE MONTH: Loki #4 (of 4) - Travel Foreman This demonic little numbers linework is outstanding. Keeping the colour range to just red and brown allows all the detail to shine through, as well as present Thor's main sparring partner in a whole new light. CLOSE CONTENDERS: Stefano Caselli - Amazing Spider-Man #652, Giuseppe Camuncoli - Daken: Dark Wolverine #5, and Dave Wilkins - New Mutants #21. Need more? Marvel's full January solicits after the jump.